Thank you Perpetua, and I wish the same to you and your family. We have a few hours to go yet, one of the later celebrators this year! Thank you, Yam. A new year full of those qualities would be wonderful. Well into New Year's Day here. 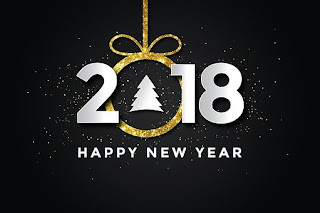 Wishing you a Happy, Healthy and Peaceful 2018. Thanks, Susan. Yes, you enter the new year before almost anyone else, don't you? I hope it's a good one for you. 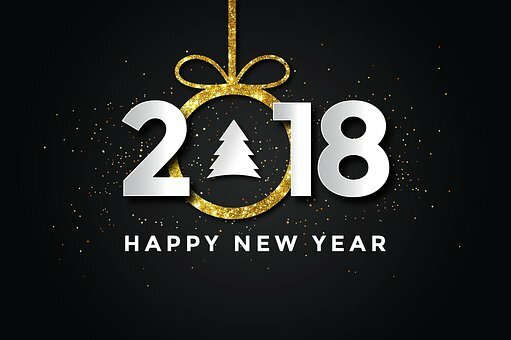 Wishing you and yours a wonderful safe blessed New Year 2018! Thanks, Rian, and the same to you and yours. Thanks, BtoB. No-one could ask for more. Dear Perpetua, thank you for the new year's greeting. It's true that I'm feeling that 2018 will be a wonderful year for me and for so many who have had one health issue after another. Also, I can feel the creativity bubbling within me and I'm eager to get back to writing. I hope that you and yours are enjoying a lovely winter and that the new year will bring you the manifestation of your deepest heart wish. Peace. Dee, I'm so glad you're looking forward to this new year with such anticipation and hope. I wish you every success with your writing and look forward to reading more of it. I hope too that youyr health continues better this year. Dear Perpetua, thank you! I'm writing each week day and so enjoying myself! Peace.